As you enjoy your everyday life, it is imperative to think about your junk and how it can be managed. According to researchers, the biggest cause of environmental dilapidation is lack of proper waste removal methods. For many years, people have been relying on some dubious methods to dispose of their waste. This has in turn caused serious damages to the environment, most of which will take centuries to reverse. It is for this reason we have decided to assist the people of SE27 West Norwood to manage their waste more commendably. We have been in this business for a very long time dealing with all kinds of waste management tasks. 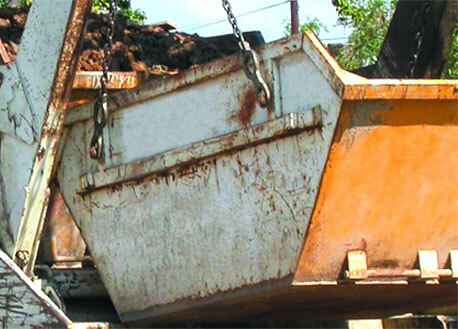 At Easy Go Skips, we have got everything that is needed to handle your waste management project. What is more, we offer our skips hire services in SE27 West Norwood to a broad range of customers including residents, building and construction contractors, factories, and restaurants. We also provide you with a big range of high-class skips to choose from. We also appreciate the fact that clients have their own preferences and therefore we provide a wide range of skips to help you find one that suits your needs. Every client is now assured to get a skip that matches their waste management task. Contrary to what other skip hire firms in SE27 West Norwood offer, we have made our services freely accessible to all by operating for 24 hours. We also make our services available via our website. You can easily get in touch with us by dropping us an email with the details of your project. Once we get the email, we will get back to you with a complete quote. Besides, we have enough customer service personnel to attend to you. Don’t hesitate to call us whenever you need to hire a skip. We will be glad to offer you the best skip for your project.